Fastenal Company (FAST) topped market expectations on sales and profits for the third quarter of 2018 but shares still dropped over 2.5% during premarket hours on Wednesday. The industrial supplies manufacturer reported net sales of $1.28 billion, up 13% from the same period last year, driven by higher unit sales and product pricing. Daily sales of fastener products rose 10.8% and for non-fastener products, the growth was 14.9%. Net income grew 38% to $197.6 million or $0.69 per share from the prior-year period. The quarterly EPS benefited from discrete tax items and a lower tax rate during the quarter. 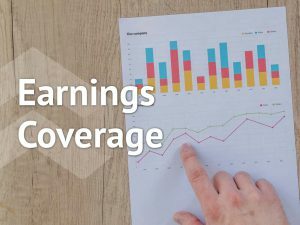 The company’s gross profit percentage dropped 100 basis points to 48.1% due to the impact of customer and product mix as well as higher freight costs at the branch level. In a separate release, Fastenal reported a 7.8% increase in net sales for the month of September to $400 million. The company had reported monthly net sales growth of 17.6% and 13.7% for July and August respectively. 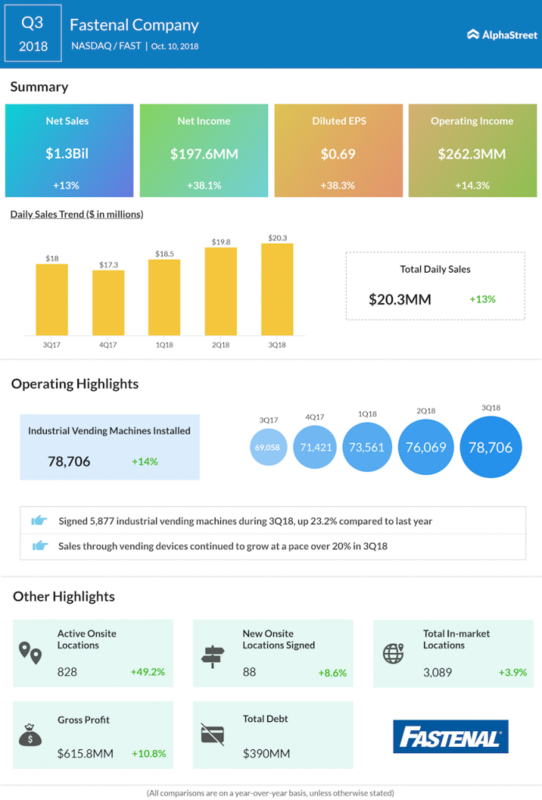 Fastenal signed 5,877 industrial vending devices during the quarter, up 23.2% from the same period last year and the company’s installed device count increased 14%. New national account contracts signed during the quarter totaled 41 and daily sales to national account customers grew 18% in the quarter versus last year. Fastenal returned $367.9 million to shareholders in the first nine months of 2018 in the form of dividends and share repurchases compared to $359.7 million in the prior-year period.